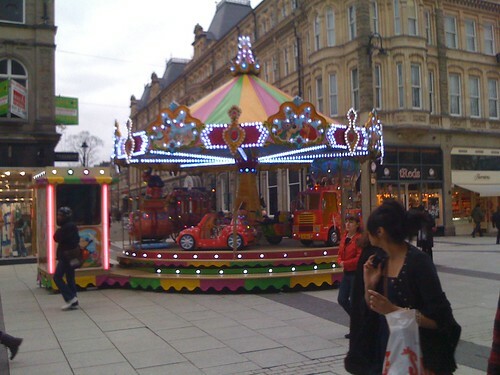 I haven’t yet been to Torchwood headquarters, but I did find the Carousel in Cardiff. It has been grey, with the constant threat of rain, but the green of the hills is such a welcome sight. I really look forward to coming back to Cardiff on my own time. And have dinner with The Dales–I know they are here somewhere… (I am so tired that I am making up a song in my head about dinner with The Dales somewhere else in Wales.) Now that you are singing a song, too, “goodnight John Boy”.